Did you know that National Lumber has drywall experts? 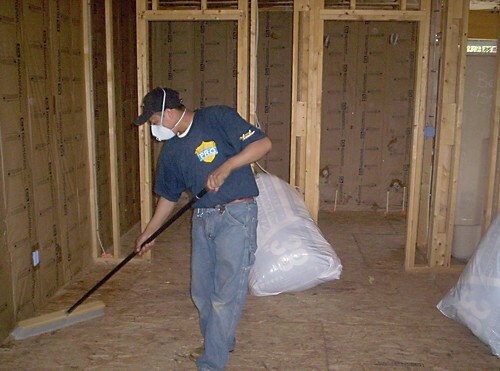 In addition to carrying trusted drywall brands including Continental, Georgia-Pacific, National Gypsum, and US Gypsum we also carry the tools for drywall installation. As the largest independent building materials dealer in New England, let National Lumber be your source for all of your building and remodeling products and solutions. The National Lumber Family of Companies includes Reliable Truss, Pro Insulators, National Millwork, Kitchen Views, Babel’s Paint & Decorating, and Oxford Lumber — covering everything from the rimboard at the foundation to the roof shingles plus everything in between. Visit our websites to see all we have to offer. Our blog will share information about the wide range of products and value-added services available to you. If you’d like to keep up with the blog via email, you can easily subscribe using the box at the right. Keep up to date with the latest events hosted by National Lumber as well as new products and services by joining our Constant Contact mailing list. We’re ready to serve you. If you have any feedback, questions or concerns, be sure to leave a comment! One of the biggest trends in decks for 2016 is a continuing focus on turning decks into outdoor living spaces. More specifically, more homeowners are thinking about basically making their decks into a continuation of their indoor living space. Essentially, decks are being thought of more and more as adding square footage to the home. These outdoor living spaces are used for a wide variety of purposes. Outdoor kitchens are growing in popularity, not just for barbecues, but everyday food preparation. Entertainment and relaxation are traditionally how decks have been used for entertaining friends and family outdoors. Now more homeowners are expanding their use of outdoor spaces with better furniture and specialty lighting. Personalization of deck spaces is also becoming a strong trend. There are so many railing options and accessories available today that no two decks ever have to look alike. Since decks are becoming everyday living spaces, there are more multi-level decks being built than ever before. Incorporating specialty lighting to steps up to raised portions and stairs improves safety in the evening. Architectural elements are becoming more important. Some homeowners even incorporate gazebos and pergolas into their structures to provide shade and ambiance, making them more versatile spaces. Reliable Truss and Components, part of the National Lumber Family of Companies, can design and build gazebos, pergolas, and other similar structures. As deck designs evolve, homeowners can also choose from a wider variety of different materials than ever before. Many homeowners opt to mix and match decking materials. Azek has a line of versatile pavers that come in multiple colors to enhance the design of a patio. Or you can add planters and have curved elements in the design. Different colors can be used to map out certain areas of the deck visually based on their intended function. Certain areas of the deck may even have solid roofing so that they can be used even on rainy days. If you’re looking to spruce up your existing deck or build a brand new one, you will want to explore the many decking, railing, and deck accessories options on the market today. Many low maintenance products are now available so you spend more time enjoying your deck and less time maintaining it. We invite you to visit a National Lumber location near you to see products from Azek and TimberTech, offering a range of colors for decking, railings and many accessories such as built-in lighting. Decks are an easy way to effectively add square footage to your home, as well as a significant increase in your home’s value. Thanks to Azek and TimberTech for the beautiful photos and to Home Town Restyling and Philip’s Fences for their insight into 2016 deck trends. Did you know that Simpson Doors offers Performance Series doors that offer additional protection against the elements? Simpson’s Ultrablock and WaterBarrier technology are available on most exterior doors, and each upgraded door comes with a 5 year warranty. WaterBarrier technology is made from one-piece of Medium Density Overlay (MDO) on the outside – a material commonly used on concrete forms and street signs. It resists moisture absorption and the overlay has a primer topcoat which results in better paint application. You can find if the technology is available on the door you want by visiting Simpson’s Find a Door. Learn more about Simpson’s Ultrablock and WaterBarrier technologies. Ultrablock technology already comes standard on many of Simpson’s door lines. This technology offers the best protection against extreme weather and improves warp resistance while still giving you a beautiful genuine wood door. To learn more about Simpson Doors, visit the National Lumber eShowroom. When it comes to entry doors, there’s far more involved than just a door. It’s a door system, which includes the door itself, the glass, and components. These components include hinges, sills, and weatherstripping. Everything works together in order to resist the elements, help keep cold drafts out, and keep the heat in. Well-built entry door systems are both energy-efficient and weather resistant. Therma-Tru fiberglass entry door systems have been rated #1 in Quality by buildings in the 2015 Builder Brand Use Study. Not only that, but Therma-Tru entry doors also ranked #1 in Brand Specified and Used Most, further cementing the brand’s reputation. Each Therma-Tru entry door system comes with a Lifetime Limited Warranty. With all components either manufacturer or specified directly by Therma-Tru, you can count on a quality product that trade professionals trust. See here how Therma-Tru door systems can work for your needs. National Lumber is a proud Therma-Tru doors dealer, and samples are shown at all nine of our locations. With entry doors a major part of a home’s perceived value because of their huge impact of curb appeals, Therma-Tru door systems are an excellent choice for new construction or remodels. Whether you are a homeowner wanting to improve your own home, a remodeling contractor wanting to offer the best value to a client, or a builder preparing to sell a brand new home, Therma-Tru is the best choice. Learn more about Therma-Tru doors on the National Lumber eShowroom. Fiberglass vs. Spray Foam Insulation: Which is More Effective? With home performance energy efficiency standards becoming higher than ever, competition between different types of insulation is stronger than it has been in the past. While many homeowners may think of insulation primarily for staying warm in the winter, proper insulation also saves on summer cooling costs. While fiberglass batts are still the insulation of choice for builders, spray foam insulation has posed a serious threat to batt insulation’s dominance. However, recently builders seem to be leaning back towards batts as their primary choice. So is one type significantly more effective than the other? According to Pro Sales Magazine, there has been some extensive testing done with the two types of insulation. The findings suggest that fiberglass batts can be as effective as spray foam. Also, they provide statistics on the drop of using spray foam vs. fiberglass batts by builders. The bottom line appears to be that either is effective, if it is installed with best practices. Whether builders out in the real world are using such best practices is the unknown variable. Spray foam insulation certainly does have its benefits in certain specific construction conditions. Like with any insulation, proper installation of spray foam is key to maximize air tightness. Some tests have actually found that spray foam, even with voids, can still perform better than fiberglass at extremely cold temperatures. Spray foam also shows significantly lowered air leakage under extreme conditions. Other arguments in favor of spray foam are that it’s more environmentally friendly and better for those with allergies. It also doesn’t make a good home for pests. Are these benefits worth the added cost over using fiberglass batts instead? It appears that the economic downturn was a major factor for builders moving back to the use of fiberglass batts as a cost-saving measure. This is because they can install them more easily with their own crews rather than requiring the special equipment and training for spray foam. In areas such as typical exterior walls, with proper air sealing practices, fiberglass will certainly perform just as well as foam. However, the detriment to fiberglass insulation is when the air sealing is not done correctly, allowing air to enter the cavities and pass through the fiberglass, effectively robbing its insulating value. Fiberglass is much less expensive compared to the foam product, even after the builder adds the extra expense of the air sealing products and labor to install with the appropriate fiberglass products. The benefit to both contractors and their clients is that National Lumber provides the quality materials they need to do the job, or Pro Insulators can provide expert teams to install insulation quickly and thoroughly with best practices using either fiberglass batts or spray foam. Hiring that expertise saves time for the builder’s crew and they move onto the next step of the building process sooner. If their high-end clients want to know they are getting the best value in their insulation, then professional best practices can provide that with either product. What it comes down to with either type of insulation is that the quality of the installation and air sealing are key. Pro Insulators can tell you which type will perform better for a particular project. Also, it’s important that the installer be up to date with the latest energy codes, which today are always evolving. Pro Insulators always stays on top of these codes. Both types of insulation, properly installed, can meet these codes. Simply put, the choice really is the preferred material. Just as you subcontract other specialized portions of every project, make Pro Insulators part of your team for expert results that benefit your profits. We all know that time is money, and getting the insulation installed faster by our experienced crews means that your building crew gets on to the next stage of the project faster. In addition, if a regular building crew makes mistakes installing the insulation, that will lead to failed insulation inspections. When such work has to be done over, it increases costs. The work will be done right the first time with guaranteed insulation installation by Pro Insulators. When word gets out that your homes are more energy efficient because the insulation was done expertly, word of mouth reputation for your company will grow. It’s good for the builder and good for the homeowner having Pro Insulators do the job.